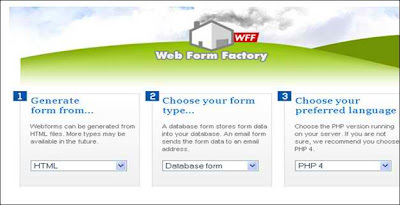 Web Form Factory is an open source web form generator which automatically generates the necessary backend PHP code to tie your form to a database. A database form or email form. Choose the PHP version running on your server. Only alphanumeric characters and no spaces, thank you. Done! The necessary backend code will then be added and the file returned to you within seconds. Hiring a reliable Magento developer is the most preferable solution to get pixel perfect work without compromising any quality standards. Outsourcing companies offer flexible hiring schemes. You can hire a Magento developer at full time, part time or on hourly rates which is quite cost saving measures.